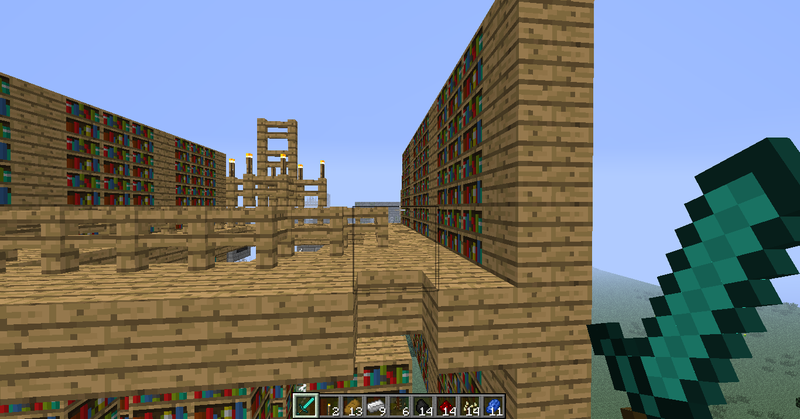 I was messing around on superflat options and I found a stronghold. Picture of the ladder the way it would be if it was on a wall. The other side of the ladder (indicated by the block outline.) Jeb, fix the ladders. Finally, people will stop punching doors and open them properly! Also, I won't need to spend a minute trying to break down a door that keeps opening and closing. 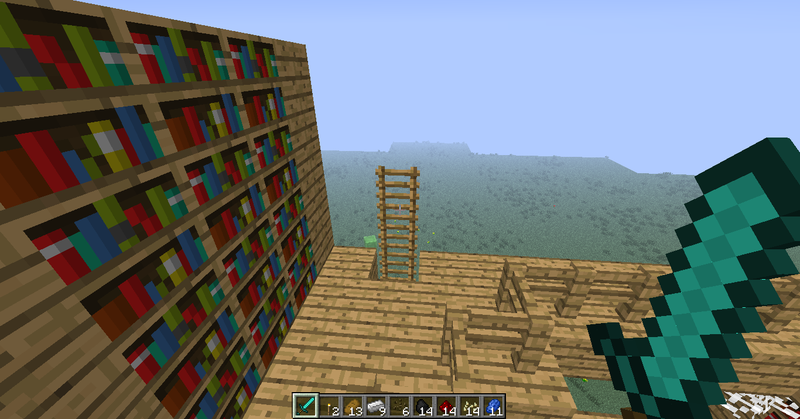 I also found this ladder bug a while ago in normal world strongholds. What's with all the complaining? If I was getting this kind of feedback on a game I made when I added cool stuff, I would stop updating it! Can't people appreciate what they're getting? this snapshot fails. I like the slime thing and flat map options. Anyone else experiencing this bug (I'm assuming it's a bug). When mining random blocks disappear :-\. Yes. My awesome wood pick can break two blocks of stone at one time. Now my question is can caves generate on superflat? Notch is god, Jeb is jesus, We just need to wait for Jon to betray Jeb and we will have the entire bible. 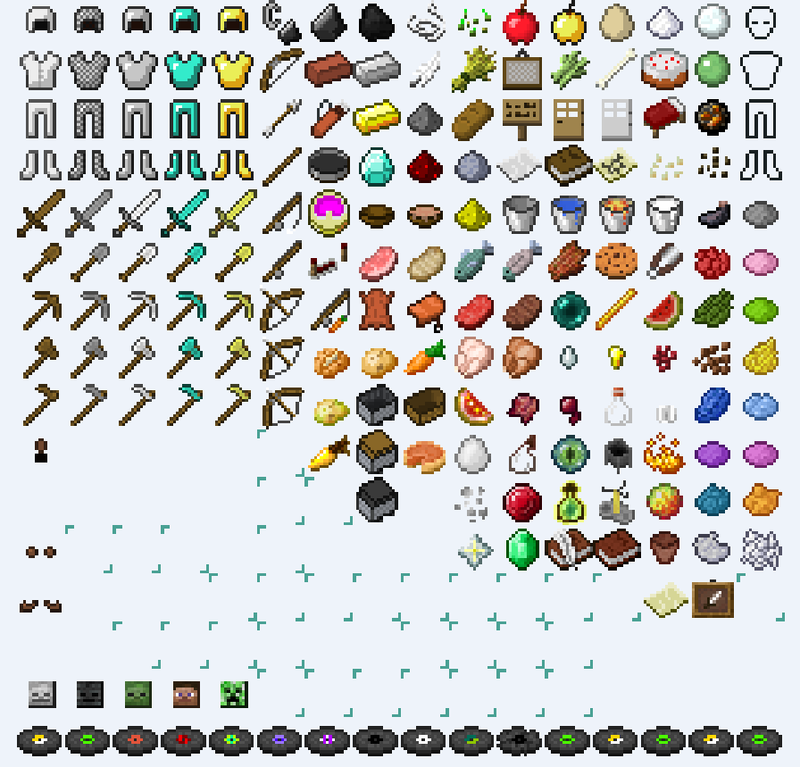 How do I force Minecraft to use my 64 bit Java install? I know good things take time but how long ago was the mod-api announced? Those are the un-dyable things on leather armor. The crushed egg, I believe are the spots on spawn eggs. I think they said you can turn that function off. Hope so! That's a great idea, since everyone knows how to mod, and wants mods instead of actual content in the game. You know what, learn to mod. You want new features you are going to add them yourself. Either that or stuff up and stop complaining. Hunger drains faster than normal i burnt thru whole stack of bread in 1 cave run. I think I've figured out the behavior. When you break a block any blocks your reticle/crosshairs has/have passed over break as well. 2) I saw a bat!!! 3) The topography seems to be more "natural"
1) when I break a block, multiple blocks break... no matter what tool... so if I break a dirt block with a hoe, and there's a stone block next to it, that breaks too.... This has got to be a bug, as it makes no sense. 2) dozens, and I mean, dozens, of endermen, spawning everywhere on easy mode. 3) The block lag is still there when i break a block I'm standing on. 4) I wish I could have gotten a screen shot of the THOUSANDS of sheep that spawned in the grasslands, but it crashed the game. Why do slimes only spawn at night in the swamp biome? the wiki said they could spawn at any light level.